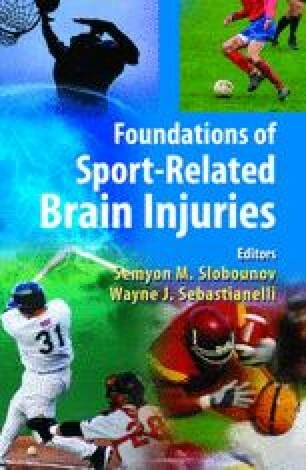 The major focus of this chapter is two-fold: 1) to deliver a clear message that athletic injuries, including traumatic brain injury, are not simply accidents, but instead, they have definite patterns and distinct non-random and more or less predictable characteristics; and 2) to elaborate on current understanding of head protection by means of a scientific database approach to the mechanics of helmetry. It is the responsibility of athletes’ health care providers and sport clinicians to continually make adjustments to rules and protective devices in order to reach an optimal level of safe participation without changing the integrity of the game. These steps may ensure that protective devices are indeed performing as expected and not causing harm to athletes and to other participants.